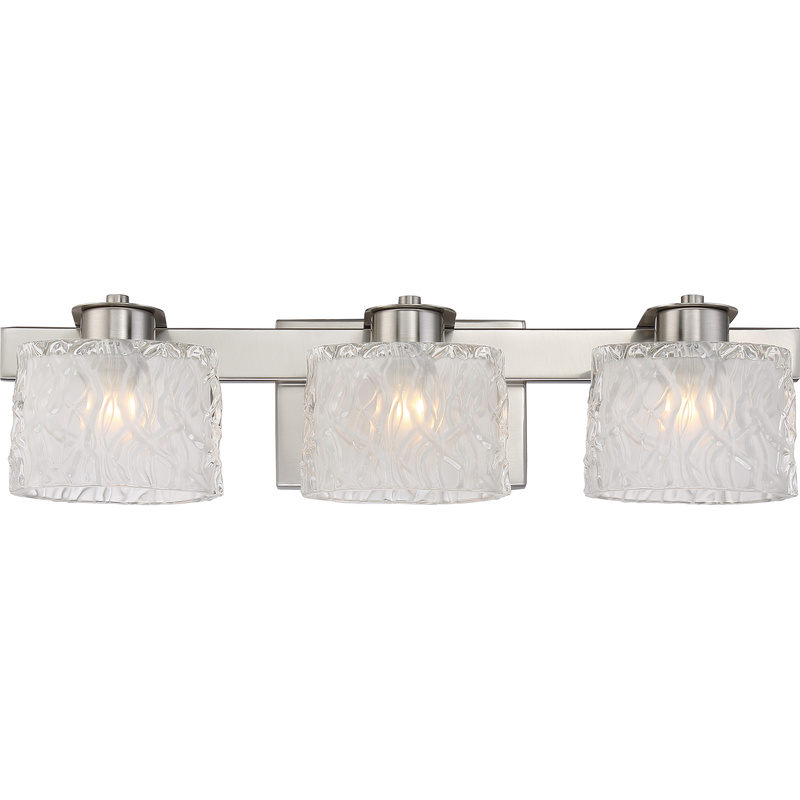 Quoizel Lighting Platinum Collection Seaview Collection 3-Light bath light fixture in brushed nickel finish, features steel-glass construction. The inside etched/outside clear glass shade brings elegance to the home. This fixture uses three 4.5-Watt G9 90 CRI 400-Lumens 3000K LED lamps that have voltage rating of 120-Volts. It measures 22-Inch x 4.75-Inch x 5.50-Inch. This fixture comes with 6-Inch lead wire for hassle-free installation. It is ideal for bathroom lighting. Fixture is damp listed.